BTW, how about an 'unstitched' image, is this in a wrong thread? Stuck in a hospital bed, hooked up to an IV, not much to do than document the dreary surroundings. A scene I'm unfortunately all too familiar with. 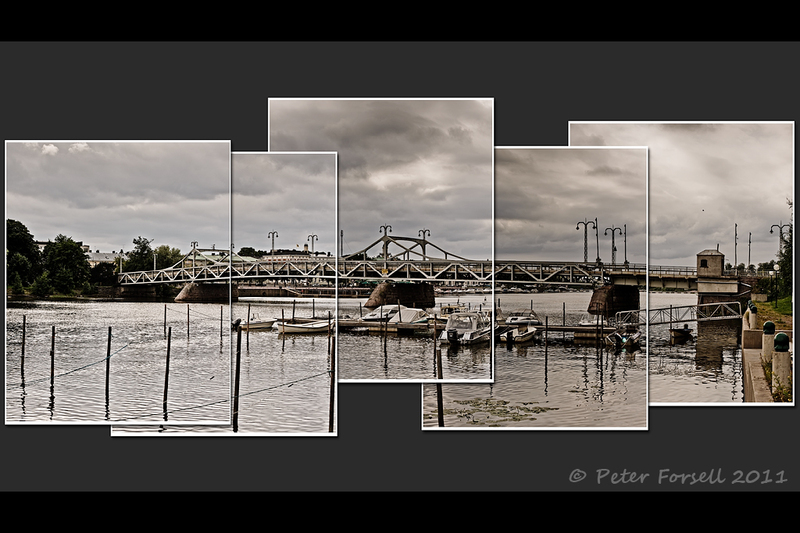 Here are some panos I did using the latest Photomerge in Adobe CC2015. 11-stitch, 9-stitch and 5-stitch respectively. The original frames were shot handheld. Akira - I understand the new photomerge really has been improved a lot - do you find that to be true? This is my modest and also most ambitious attempt, 3 rows x 3 and then x 5 for the HDR. Problem is that there are small glitches which are not apparent in this size. I should redo this, if photomerge has improved. Elsa, the photomerge I used for the first time was that in Photoshop Element 11 which I felt pretty handy. Then the one in CC2014 turned out to be a vast improvement over the PSE11 version in terms of the accuracy. I was also very impressed how Photomerge can stitch random patterns like the surface of the running rever and the clouds smoothly. The on in CC2015 is the further refinement albeit not dramatically improved. It stitches handheld images really well. I cannot find any glitch in the first and the third iamges. That said, it is NOT totally glitch-free. Sometimes it fails to stitch the power lines commonly seen in my images smoothly. Nothing is perfect. In the second image, there ARE only very minor glitces shown below (100% crops). 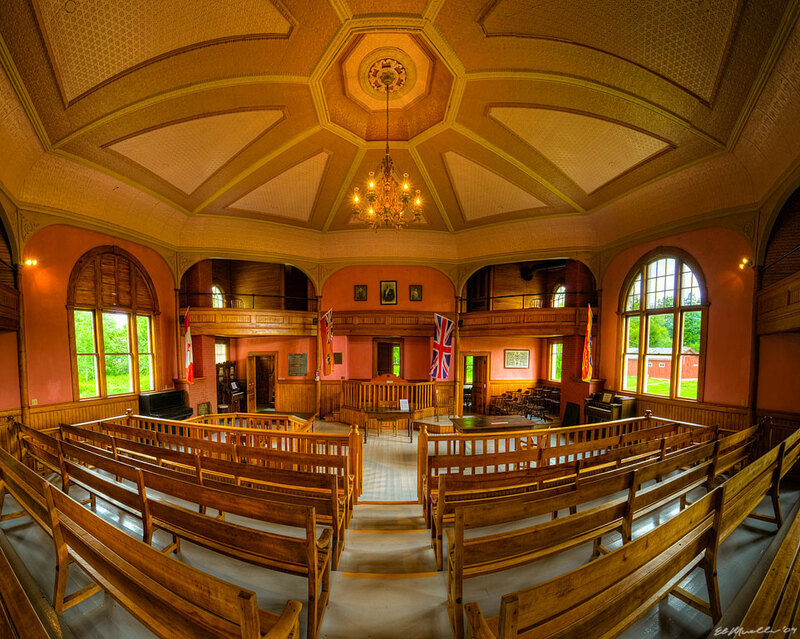 Needless to say, the proper alignment of the leveling and the entrance pupil on a pano head helps. I started Panography in 2005. Hundreds of huge panos. Most of them interiors but also nature. Akira. I love the street bridge in the inner city industrial setting. This is the kind of work I appreciate very much because the frame is worked through thoughtfully. Sky panos often leave me unsatisfied. I see a technical deed but no picture. Frank, glad that some of my panos appealed to you. The street brige was shot from one of my favorite viewpoint in Akihabara, Tokyo. I stitched the cloud simply because I liked its shape and spreaded for about 90 degrees horizontally. 1) Wonderful stitch and rewarding scene the "Olympic Ski Jump Hill of Holmenkollen". Also the topic of documenting buildings before they are torn down is something I consider a very important contribution of photopgraphy to our cultural fabric. Thank you! 2) "Reine in the Lofoten Archipelago" -- such a calm scene and the vantage point is just perfect to get a feel for the scene and immerse into the impressive landscape. Thank you. I love the images you guys are posting - and it inspires me to do more (and bigger) panoramas myself.